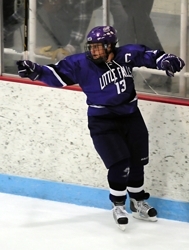 Little Falls' Joey Hanowski has tallied 30 goals to pace the Flyers this winter (Photo by Tim Kolehmainen). After dominating Section 6A the previous two years -- and making five straight state tournament appearances -- Little Falls (20-3-2) took a step back last winter, winning just eight games and getting bounced early in the playoffs. It was an expected drop, as Tony Couture's team had graduated an insane amount of talent, including the state's all-time leading scorer in Ben Hanowski and three-year starter Michael Sperl between the pipes. The frustrating thing for Little Falls' section foes is that the rebuilding process wasn't a long one. Just one year later, the Flyers are back on top of the section seedings after a 20-victory regular season -- with another Hanowski as the leading scorer and another Michael in nets. Deja vu must have opponents' heads swimming. "We have a well-rounded team," countered Couture earlier this winter. "No real superstars." Junior Joey Hanowski (30-17-47) isn't as physically gifted as his older brothers, but he's a grinder who calls himself "Garbage-goal Joe." He certainly has the hands to make his mark around the net. But it's not a one-man show, as five other Flyers have netted double-digit goals, including Ben Newman (15-23-38) and Adam Dougherty (17-18-35). Dougherty and Hanowski both were members of the Flyers' 2009 state tourney team. A remade defensive corps has been solid in front of goaltender Michael Stumpf (17-1-1, 1.50, .935), who is among the state's leaders in goals against and save percentage. The scariest part? The Flyers remain a very young team of mainly sophomores and juniors. They're getting better day by day. Fergus Falls and Sartell-St. Stephen are two of the many contenders who hope to knock Little Falls from the top perch (Photo by Tim Kolehmainen). It wasn't as smooth a ride to that top spot as it sounds, however. Several other teams made a run at the No. 1 seed, including No. 2 Sartell-St. Stephen (16-8-1) and No. 3 Willmar (14-8-3). Coach Ryan Hacker's Sabres have won 52 games the past three seasons, the best stretch in school history that continued into this winter even with the loss of a hugely talented graduating class. The Sabres are on the upswing, with a 7-2-0 record in the past nine games, a stretch that began with an 8-3 rout of Little Falls on Jan. 25. Andrew Deters (21-25-46) could set school records for single-season assists and points while Kjell Mann (24-16-40) has already tied the single-season goals mark. Willmar came alive at midseason with a 12-game unbeaten string (9-0-3) from Dec. 27 until losing 2-0 to Hutchinson on Jan. 28. Goals have been tough to come by since, as the Cardinals had just 15 in the final seven games (including a 7-2 victory over Prairie Centre). The veteran quartet of Gabe Amon (21-23-44), Grant Schow (20-19-39), Liam Johnston (15-18-33) and Landon Peterson (8-22-30) carry much of the scoring load -- and all have been on the varsity since their sophomore seasons. But the true gauge of the team will be Finnish netminder Christian Yrttimaa (13-6-2, 2.40, .916). A few other teams remain dangerous, as well, such as No. 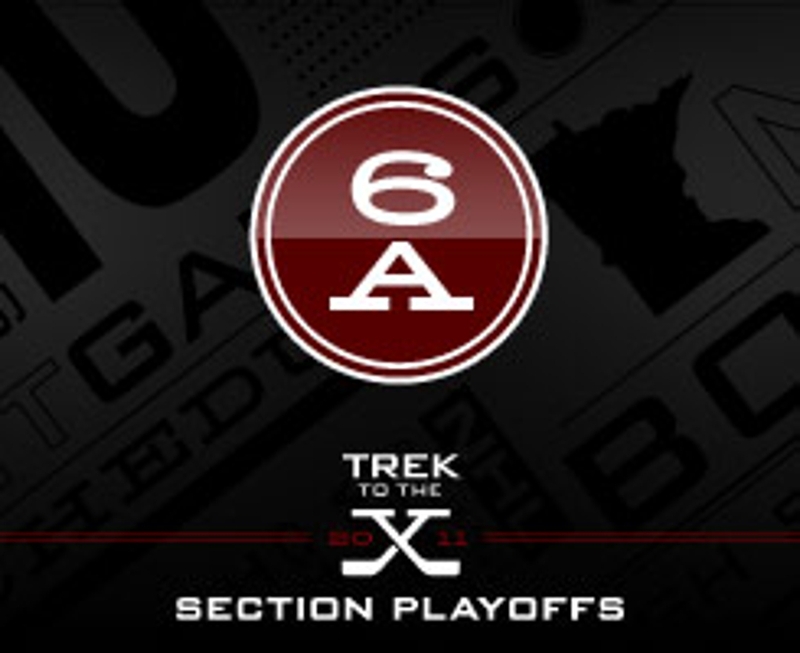 4 Fergus Falls (10-11-3), defending section champion and No. 5 Alexandria (9-14-1), No. 6 Detroit Lakes (15-9-1) and No. 7 Northern Lakes (13-8-2). Nate Baker (43-28-71) and Alex Mason (18-36-54) of Detroit Lakes are the highest-scoring duo in the section, while Fergus Falls sophomore Blake Brazil (20-15-35) leads the Otters in goals. Connor Chambers (26-21-47) clearly has great bloodlines, as his father is Northern Lakes coach and former NHL defenseman Shawn Chambers. Keep an eye on sniper Kyler Decent (27-12-39), as well. It was just a one-year dip at Little Falls, which returned to the top seed and the honor as favorite in Section 6A. The Flyers have another Hanowski (Joey) leading the way 30 goals and a stingy defense backstopped by goaltender Michael Stumpf. Despite an earlier 8-3 loss to No. 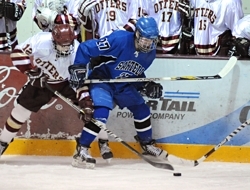 2 Sartell-St. Stephen, the Flyers seem to be in control. Assuming the Lakers get into the quarterfinals, they'll face the team that knocked them off last winter, No. 3 Willmar. Expect Detroit Lakes to be fired up for revenge, which could throw the bottom of the bracket into confusion. The Lakers have firepower in 42-goal scorer Nate Baker and Alex Mason. But can they keep the puck out of the net?